“Medical Machines” is a new series of blog posts highlighting the equipment AMC veterinarians use to provide state-of-the-art care to thousands of pets annually. These machines save countless lives, but pet families rarely ever have the opportunity to see them up close and personal. This series will give readers a glimpse into the equipment AMC veterinarians rely on every day. The previous blog post in this series highlighted infusion pumps. The machine for today is an ultrasound machine. I was shocked when I finished counting our ultrasound machines — AMC has ten different ones located on four different floors of the hospital. Fifty years ago, if veterinarians wanted to see the inside of the body, we took an x-ray. To take an x-ray, we use a machine that emits radiation, creating an image on film. An x-ray reduces a three-dimensional dog or cat to a two-dimensional image. While x-rays are still used for the heart, lungs and bones, ultrasound is more commonly used to view the inside of the abdomen. The probe of the ultrasound machine bounces sound waves off the internal organs as the probe is moved about. The sound waves then create a gray scale image on the ultrasound screen. The veterinarian performing the ultrasound twists the probe which changes the orientation of the image and allows the various organs to be evaluated from side to side, top to bottom and front to back. By analyzing an organ in multiple directions, a clear picture of any structural abnormalities emerges. Back when veterinarians only had x-rays, the department in charge of x-rays was called radiology. Now that we have x-rays, CT scans and MRIs, the department has expanded and these imaging modalities reside in AMC’s Diagnostic Imaging Department. Since ultrasound is another method of imaging the body, this group of AMC doctors has two of our best ultrasound machines in the hospital. Our radiologists have special training to perform and interpret ultrasounds. One of their most important skills is using the ultrasound to collect samples for laboratory testing. An x-ray of the chest will identify an enlarged heart or fluid in the lungs as the result of heart failure. To hone in on problems with heart values or a thickened heart muscle, a specialized ultrasound called an echocardiogram is required. AMC’s cardiologists have two such machines: one about the size of a small refrigerator and a portable one for cage side use. The other six ultrasound machines are distributed on four different floors of the hospital, necessitated by AMC’s vertical space. All six of these machines have similar functions. They are quite small, about the size of a toaster and are strapped to a wheeled stand. ICU and ER doctors will wheel their machine to a critical patient to quickly determine if there is internal bleeding or an object stuck in the intestine. Oncology and Interventional Radiology use their mobile ultrasound machines to monitor the effect of treatment, as does Internal Medicine. We all use our ultrasound machines to facilitate collection of urine samples. With all these essential functions, no wonder AMC needs a denary of ultrasound machines! One of my patient’s winter vacations was cut short last week when her owner noticed she was bumping into the furniture and reluctant to jump on and off the bed. A quick trip to the Animal Medical Center and consultations with internal medicine, neurology and ophthalmology specialists determined this cute pug, named Amanda, was blind and suffering from sudden acquired retinal degeneration syndrome or SARDS. Sudden acquired degeneration syndrome was first described in dogs in the mid 1980’s. The acronym SARDS is very similar to SARS, which was a highly contagious respiratory disease originating in China in 2002 and causing hundreds of deaths worldwide. SARDS is not contagious, is not fatal and does not cause respiratory signs, but dogs with SARDS do have clinical signs beyond the acute blindness. Prior to the loss of her vision, Amanda’s owner noticed she was eating more, drinking more and urinating more. Amanda had gained a pound and a half over 6 months. Since the cause of SARDS remains elusive, the physiology behind the increased thirst and appetite are unknown, but two thirds of dogs diagnosed with SARDS have these clinical signs. A month prior to the vision loss, Amanda had been treated for redness in her eyes, another common finding in SARDS dogs. Amanda was nearly a textbook case of SARDS. In addition to eating and drinking more, she is a pug. Pugs, dachshunds, miniature schnauzers, cocker spaniels and maltese dogs are at increased risk for developing SARDS. Elevations in liver tests are common in dogs with SARDS and Amanda has not one, but two different liver tests that were above the normal range. In dogs with SARDS, the retina (or light perceiving lining of the eye) stops working but still appears normal when a veterinarian looks at the back of the eye using an ophthalmoscope. An electroretinogram is the test used to make a diagnosis of SARDS. The electroretinogram flashes bright lights directly at the retina and measures the brain’s electrical activity in response to the flashing lights. Dogs with SARDS show no brain electrical activity in response to the light flashes. Watching your suddenly blind dog learn to navigate the world without vision can be heartbreaking. 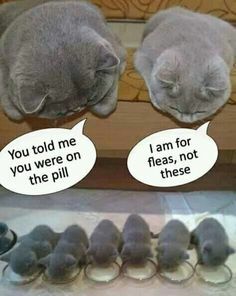 In reality, as long as you don’t rearrange the furniture, she will quickly learn to cope and have an excellent quality of life. There are a number of resources to help you provide a safe and stimulating environment for your non-visual dog. Here are links to just a few of them. 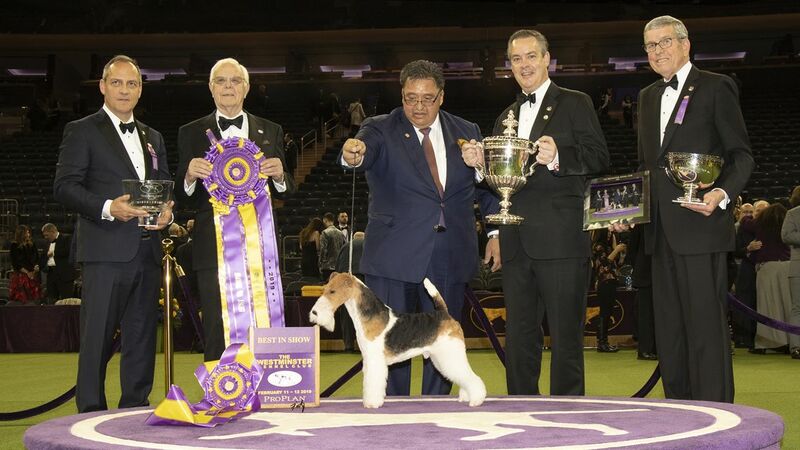 Congratulations to last night’s best in show winner, GCHB CH Kingarthur Van Foliny Home at the Annual Westminster Kennel Club show at Madison Square Garden. Best in Show completes a week of canine events with a sprinkling of cats thrown in for variety. In addition to the Westminster Kennel Club show, Westminster week features both Masters Agility and Obedience competitions. Meet the Breeds hosts both dogs and cats from the Afghan hound to the Turkish van and every breed in between. To get the inside scoop on the dog show, last week’s guest on “Ask the Vet” (SiriusXM Stars 109) was AMC’s own Anne Marie Kubacz, LVT. In addition to being AMC’s longest serving nurse, Anne Marie has shown dogs at the Westminster Kennel Club show, worked as an expert during the broadcast and been involved in veterinary care for dogs from the show treated at AMC. Here are some of her insights on the second longest running sporting event in America. Anne Marie got her start in dog shows when someone noticed her beautiful Irish setter in Prospect Park and suggested she show her dog. She met her husband showing dogs and her son is now a professional dog handler. This family trio of dog show specialists spends nearly every weekend at dog shows, but Anne Marie said devoting every weekend to dog shows is not necessary to have a great family experience. Anne Marie’s family specializes in showing purebred dogs, but dog shows provide opportunities for every type of dog. Dogs in five height divisions competed in the Masters Agility event at the WKC show. These energetic dogs raced over and under obstacles, through tunnels and zipped back and forth competing for the best time. There were even cameras inside the tunnels and the view from inside made it look like the dogs were running inside a set of lungs! To see for yourself, watch the highlight video. The Masters Obedience competition is a more creative event where the dog and his partner perform a routine of obedience moves. This year’s winner is the Tiger Woods of the dog world and became a four time Masters Champion in Obedience. This year’s performance will bring a smile to your face. If you’re not interested in participating with your dog, Anne Marie suggested attending the event just to meet some dogs and cats. Meet the Breeds gives dog lovers the unique opportunity to meet and play with more than 100 different dog breeds in booths cleverly decorated to depict each breed’s country of origin, historical purpose/function and attributes as a family pet, all while learning about responsible dog ownership and which breeds may be right for them. This year, cats made their triumphant return to the AKC Meet the Breeds® event with The International Cat Association® giving animal lovers the unique opportunity to meet and play with 35-40 different cat breeds. When I asked Anne Marie what her best back story about the WKC show was, she recounted the story of a Doberman pinscher, Indy. He flew to New York City for the WKC and when he got off the plane, everyone knew he was not right. Indy came straight from the airport to AMC where a case of bloat was diagnosed and treated. Indy went on to win Best in Show that year to the cheering of many delighted AMC veterinarians. AMC congratulates all winners from Westminster week, but the biggest winners of all were the humans who had a wonderful time with their dogs.